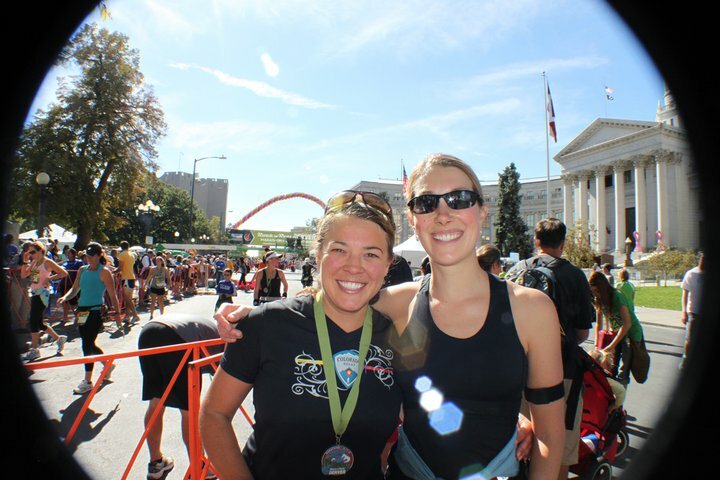 I finished my first Half Ironman when I was 22 years old and it was a huge feat for me. I have zero natural athletic talent, so I had to train twice as hard, be twice as disciplined and stay twice as focused as my training buddies. But crossing the finish line made it all worth it. It was the first time I felt what it was really like to “win” and I realized that I could push myself to the depths of despair and pull myself back out again. It was intoxicating and knowing that I could push myself that hard has played a very positive role in my life as an entrepreneur. But it also has a dark side. After I finished my first Half Ironman, I was hooked, so I started training for another one. I followed the exact same training regimen, but this time I was working a very stressful and time consuming job. I maintained my training despite the fact that I was getting less sleep and handling more stress, and I finished the race. I learned that I could push my limits even further than I could before and again, it was intoxicating. But then….I got hurt. The doctors told me that I had a hip injury caused by over-use and it was pretty bad. I had to stop running and biking for an entire year. When I came back to do my third and final Half Ironman two years later, I trained about 1/3 less, but I trained smarter and I took a rest when my body needed it. I finished the race almost a half an hour faster than I had before. It was a great lesson that working smarter is better than working harder, and that taking little rests will help you go faster and further. Yet, it was so, so much harder for me to train that way, just like it is so hard for me to take a breather from my work. I am deeply passionate about the work I am doing. When my work is tied to my deep and personal passion, there is no such thing as work/life balance, and that is a good thing. Unfortunately, no matter how much I love my work, I still have to sleep. I sometimes forget that. I’ve seen this pattern in other entrepreneurs. We have the ability to push ourselves further than we ever think we can, but that doesn’t mean we always should. It’s actually far easier for me to push myself than to rest, but resting is often just as important as pushing. When I take breaks and listen to my body, I deliver better results. When I work smarter rather than harder, I deliver better results. I try to remember that. I can’t say I have the resting thing down to a perfect science, but it’s getting better and I certainly appreciate the occasional reminder. So…to unwilling-to-rest entrepreneurs everywhere, may you find work that never feels like work, but remember to rest this holiday season. To a fulfilling and restful 2015, Happy New Year.